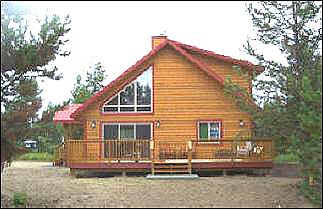 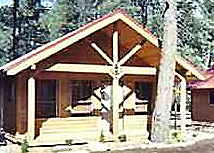 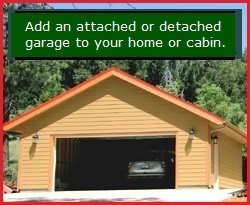 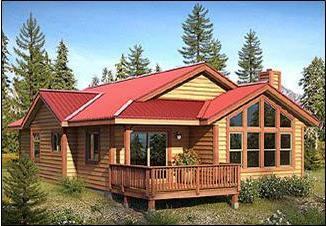 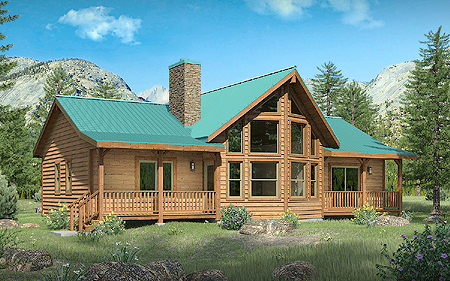 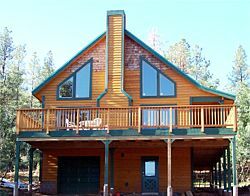 Cabin Kit Plan: NEW - Updated "Chicory 3BR"
Above: Shown with new larger prow windows on left, pine log siding. 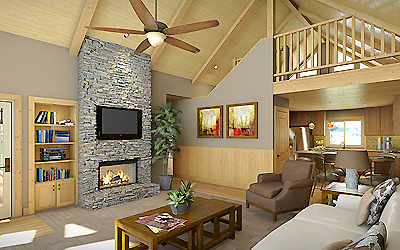 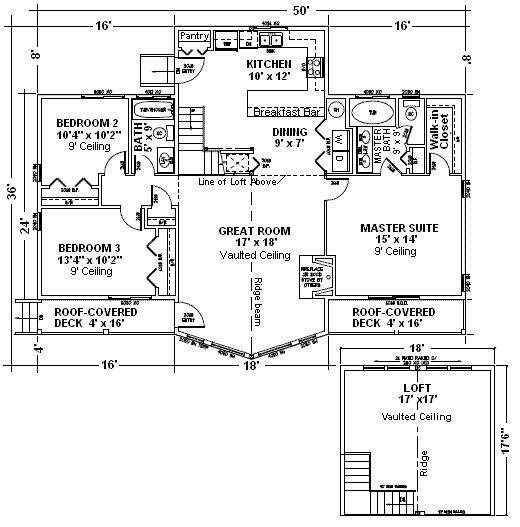 Below: Interior of Great Room (left) and Great Room/Kitchen/Loft areas (right). 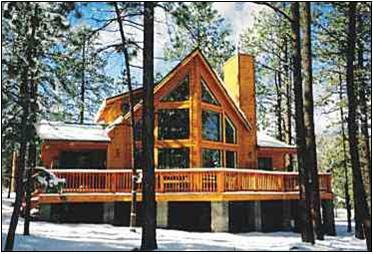 Bottom: Full elevation with pine log siding. 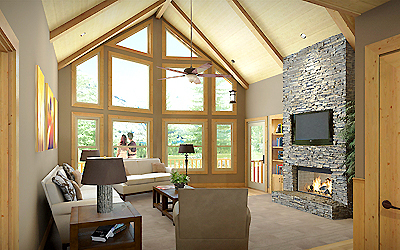 All flat interior ceilings at 9' height.